One of the things I worried about most each time I brought my new baby home if they were getting enough breast milk. Since they aren't eating from a bottle and you can't see exactly how many ounces they're consuming, I was always worrying if they were eating enough, if I was producing enough, if I would continue to produce enough. It's a very stressful situation for a breastfeeding mom! So, when I received lactation cookies as a gift with my second baby that were delicious and were supposed to help with milk production - I was like, "Where were these with my first baby?!" And with my third baby I decided to make my own so that I could keep them on hand whenever I needed a quick snack. 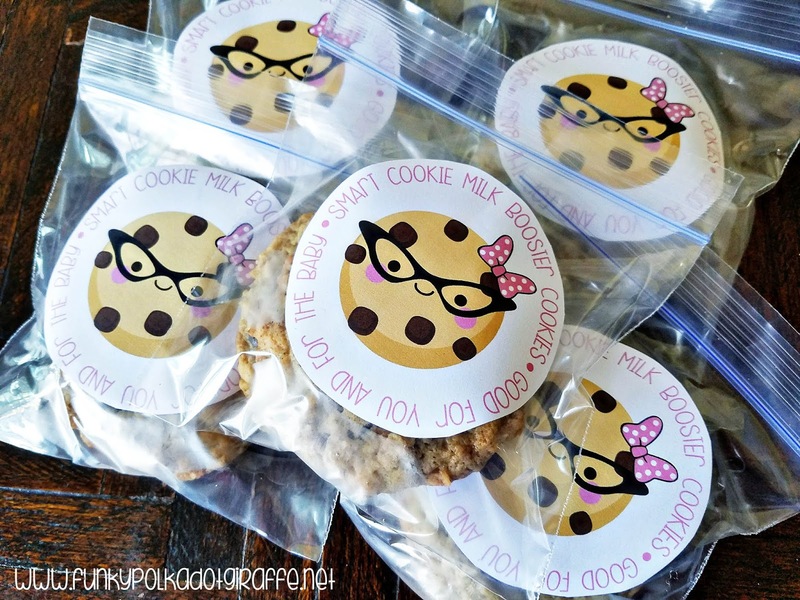 Fast forward four years and to my friend having her second set of twins last month and I knew that I wanted to put together a care package that included some yummy lactation cookies. I can't imagine having to worry about producing enough milk for two babies! She breastfed her first set of twins (who are just 6 weeks older than Grace), so I knew that she would love something yummy that would also help with milk production. The brewer's yeast, flaxseed and oatmeal in the cookies are all natural galactagogues - or foods that help increase milk production. So you get a yummy treat and you can help give your milk production a boost. 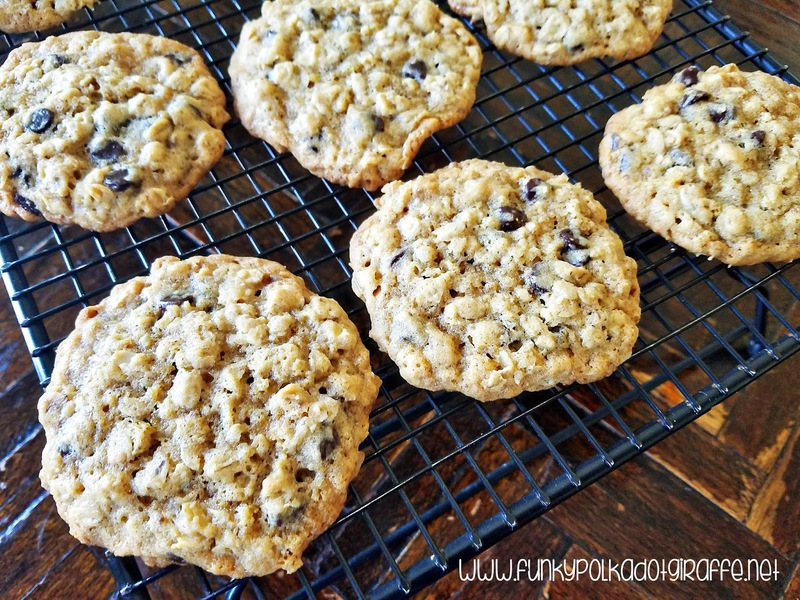 Plus, I use dark chocolate chips which make them pretty much a vegetable, right? 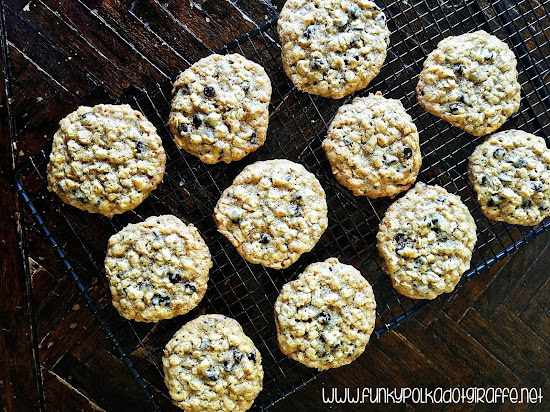 And if you're not trying to lactate, you can omit the brewer's yeast in the recipe and make a regular batch because the cookies are delicious and you'll find the rest of your family trying to eat them too! A note on brewer's yeast - it can be kind of bitter. So, look for a brand that tells you it has reduced bitterness or is mild tasting. I like TwinLabs Genuine Brewer Yeast which I found my local health food store. 2. Combine the water and flaxseed and allow the mixture to sit for 5-7 minutes. 3. Sift together the flour, salt, baking soda, and brewers yeast in a medium sized bowl. 4. Beat together the butter and sugars until light and fluffy. 5. Add in the eggs, vanilla, and flaxseed mixture until well combined. 6. Slowly add in the sifted flour mixture. 7. 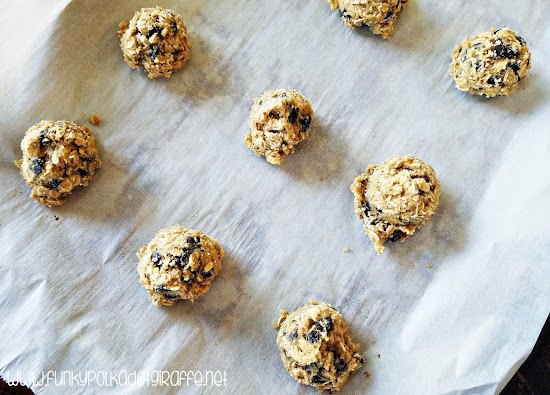 Fold in the oatmeal and dark chocolate chips by hand. 8. Use a large spoon (or large cookie scoop) and drop cookie dough onto a cookie sheet lined with parchment paper. 9. 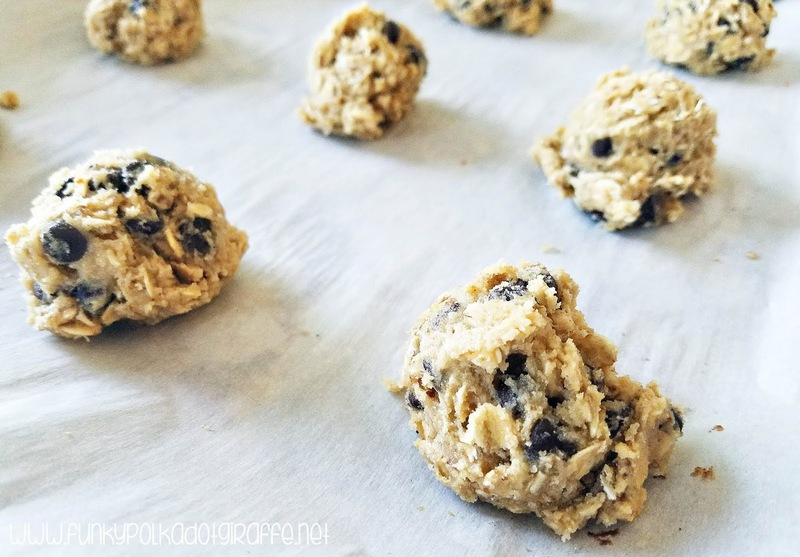 Bake 12-15 minutes, cool, and enjoy! I like to bag 2 cookies together in the square zipper snack bags from Walmart and put the in the freezer. Then, when I want a treat, I can pull them out and the cookies stay fresher in the freezer. After I bag them in pairs in the snack bags, I put the snack bags in a gallon freezer zipper back to keep the freezer burn at bay. Come back tomorrow to see how I used these double dark chocolate chip lactation cookies to create a fun care package full of my favorite new mom things - plus a cute printable!